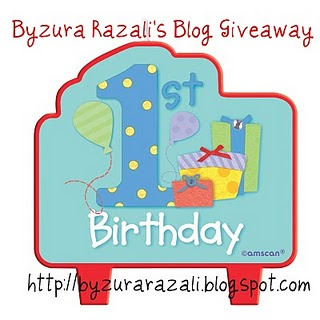 Giveaway dari Byzura Razali, sempena menyambut ulangtahun kelahiran Blog nya yang pertama (^_^). 2. This one very important, dun forget to leave a comment in below format. Choice: If u're the lucky reader, which toys that u want?? A,B,C or D?? ?